I read this note on this site yesterday and thought, hmmm... what would I do? Would I leave a note? 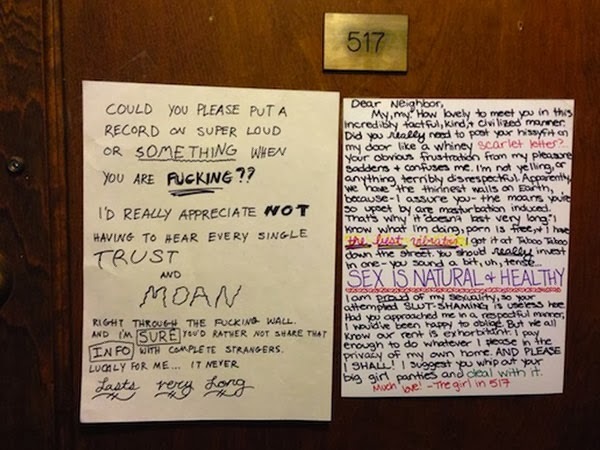 Would I bang on the door and ask them to stop?